If I wasn’t doing this I’d be a: Singer. I went to school for vocal performance and was convinced I would be a professional musician through most of my younger years. If I had it to do over again, I’d probably try to see that through. Most impressive person I’ve ever met: This is so hard, because I’ve met so many impressive and inspiring people. Can I just indulge a short celebrity story instead? I rode in an elevator with Channing Tatum once, and after making some (very) small talk, he exited the elevator and said to me, “Later, Mama.” I was able to pick myself up off the floor about 15 minutes later. I unwind by: Exercising. Gosh, I really hate when people say that, but it’s true at this point in my life. On my desk right now is: More piles than I should probably admit to. Looking across them I can identify notes from our weekly staff meeting, a sales plan I have yet to review, a box of blank thank-you notes, and the latest Pollstar. My favorite IAVM program/conference/event/session I ever attended was: ICMC (now GuestX) in Philadelphia, 2006. It was my first introduction to IAAM (at the time), and I was hooked. It’s strange that I don’t remember many names of people I met there, but I remember the buildings they worked at vividly. If I were on the other side of the seats, I’d be a: Again, I’d probably be a performer. Although, I always liked the role of the production manager as well. Anything but stage manager. I did that for a couple of festivals early in my career, and it was brutal. One trait an up-and-coming venue manager should have is: Curiosity. I actually think that’s something that has served me really well in my career. As I was getting started, I was always asking, what’s he doing? What’s she doing? How can I do that? How can I improve upon that? There hasn’t been a single piece of our industry that I haven’t wanted to learn and better understand, from media buying to basic refrigeration. You don’t truly know something until you’ve done it or experienced it yourself. One up-and-coming venue star in the arena industry is (name/venue): Just one? Definitely keep your eyes open for Cassie Jones (New Orleans Ernest N. Morial Convention Center) and Justin Aquino (Utah Valley Convention Center). 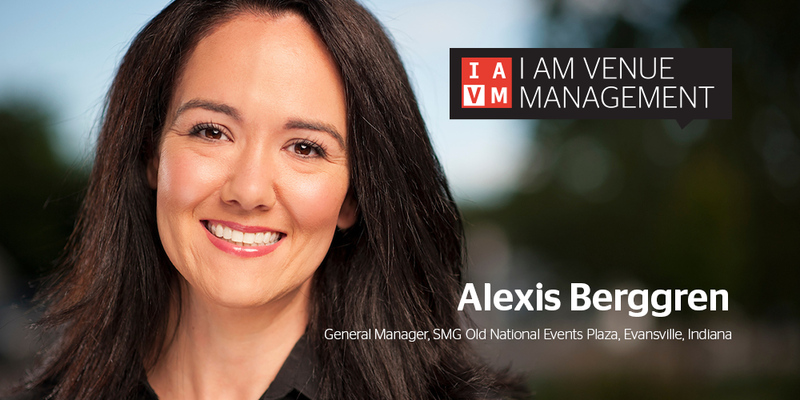 One of my goals for this year is to: Help the IAVM Membership Committee achieve its objectives. I’m honored to serve as Chair this year, and the group has set some aggressive goals, including outlining a Group Membership category for our Allied members and reviewing and improving IAVM’s online educational content. How do you plan to help elevate the profession? I hope I can elevate the profession by being an effective ambassador and educator. The economics of what we do is of course critical, and probably the most popular talking point, but our cultural presence is often equally important, especially in smaller markets. We have to exercise creativity in how we partner with local businesses and leaders with few resources. Some venues are important providers of diversity to their community in how their buildings are programmed. It’s important that everyone, inside and outside the profession, understand the gravity of the venue managers’ role as leaders and stewards. Where do you see new growth opportunities in the profession? Innovation! Anyone that’s had a conversation with me about the industry over the last couple of years has probably heard my stump speech about the need for more practical innovation. How do we get to hands-free ticket scanning? Metal detectors that are actually part of a door frame? What’s the next big thing? How do you stay current with industry trends and developments? In addition to the multiple ways IAVM keeps me connected, I love attending conferences and following industry trades. I have more Google Alerts than I can possibly read every day. But I do think the best stuff often comes from our clients. I ask them questions like, who’s doing the best pre-con? What’s the best event document you’ve seen from a venue? Best backstage catering presentation? I get some of my best inspiration from that feedback. Who are three people you’d invite to a dinner party and why? Judy Garland, Janis Joplin, and Dave Grohl, because … well, could you imagine?